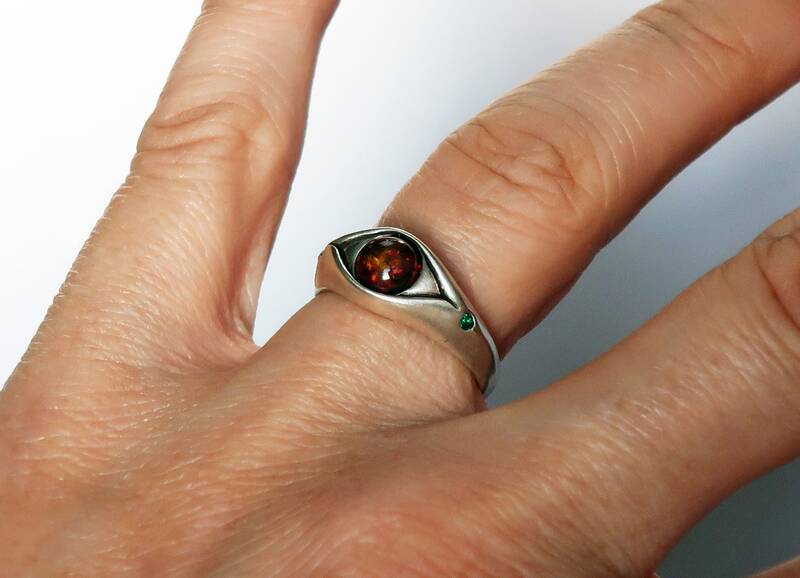 This magical eye ring is solid cast Sterling Silver. 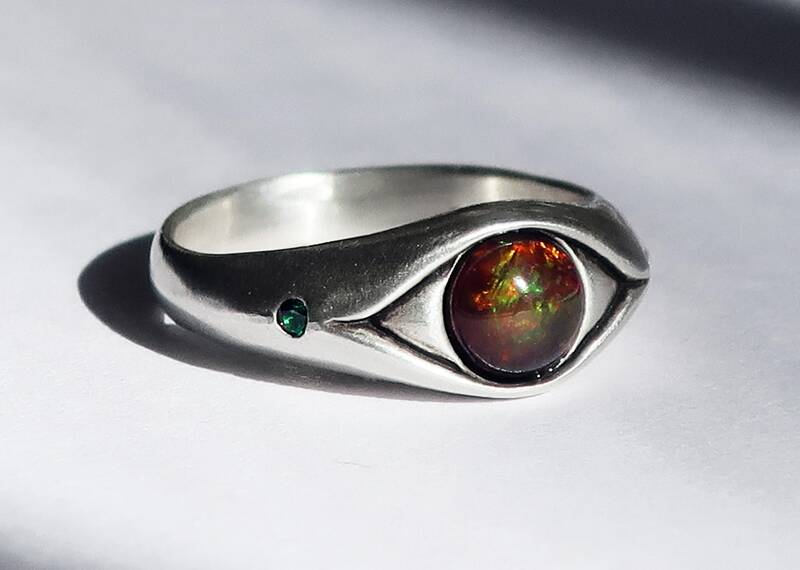 The focal point is a beautiful 6mm black opal that flashes with orange, green and gold fire. 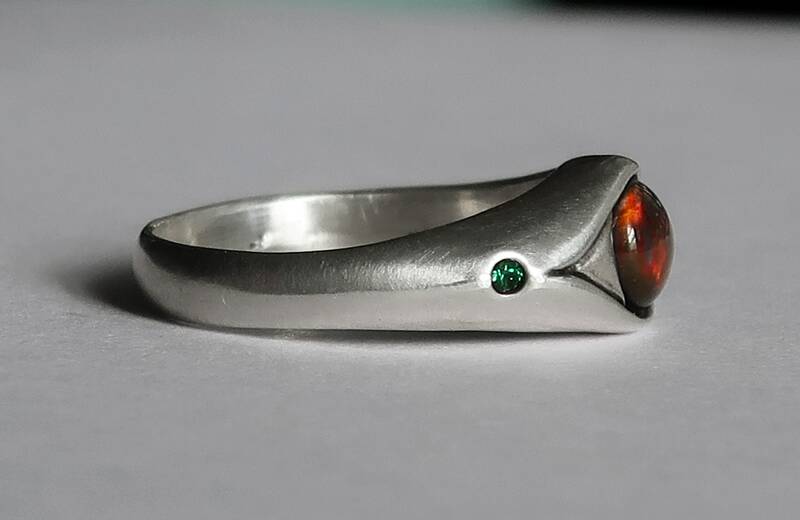 Two 1.5 mm green spinel doublets are set as accents on either side of the opal. 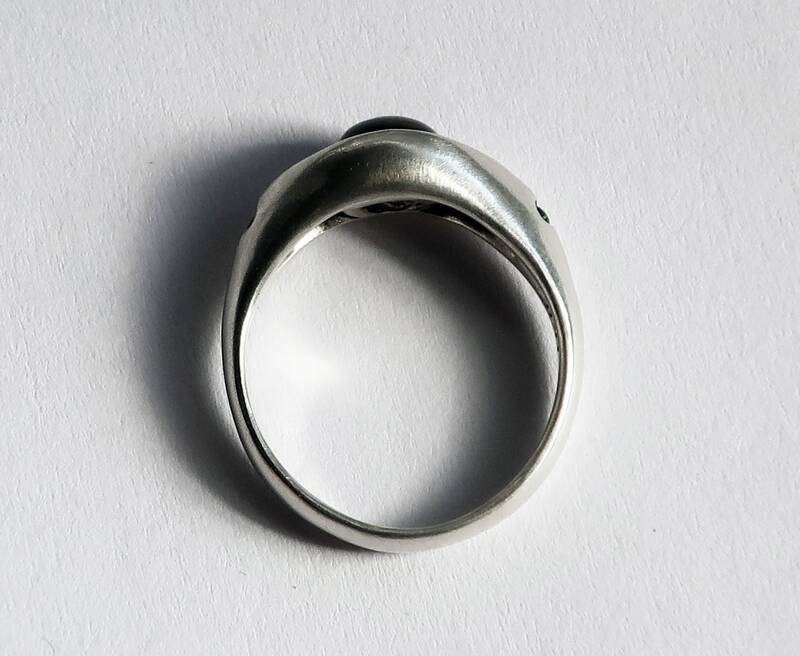 Brushed and buffed to a satiny glow, this ring is US size 6. 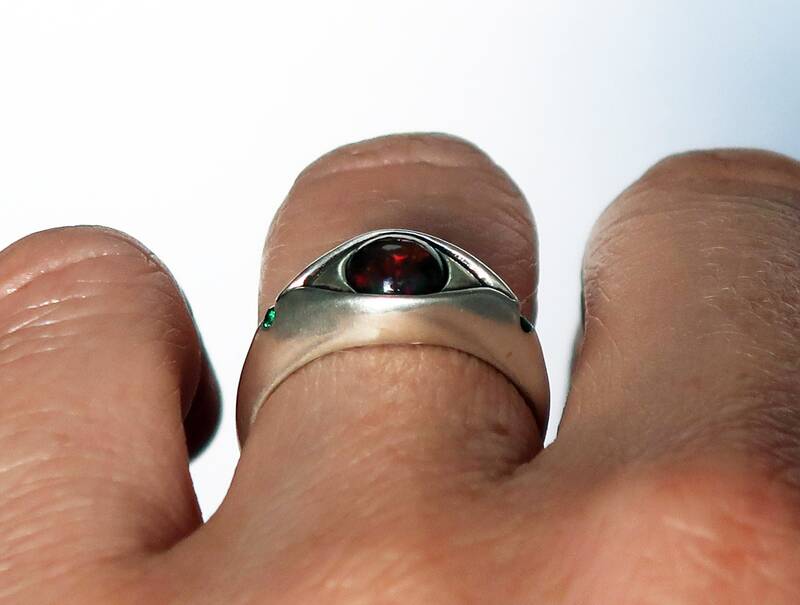 Looks stunning on its own but can be stacked with other rings as well. 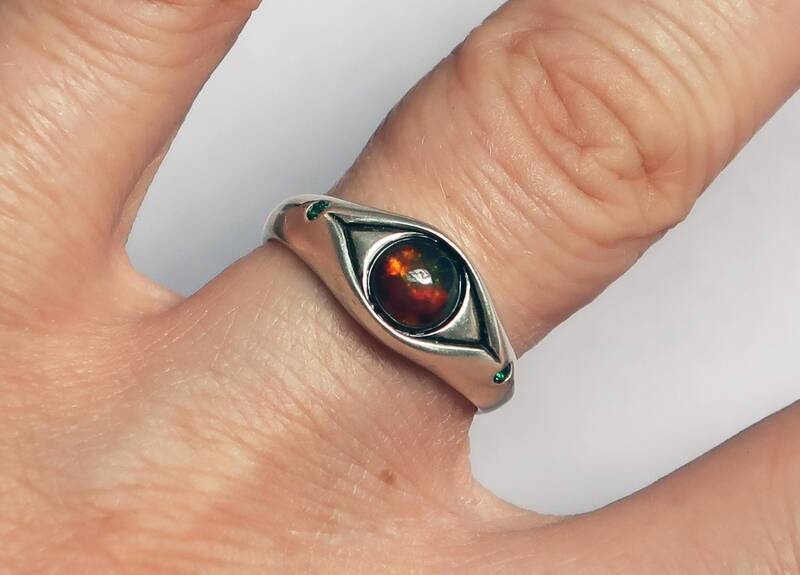 All the photos in the listing are the same ring shot from different angles. 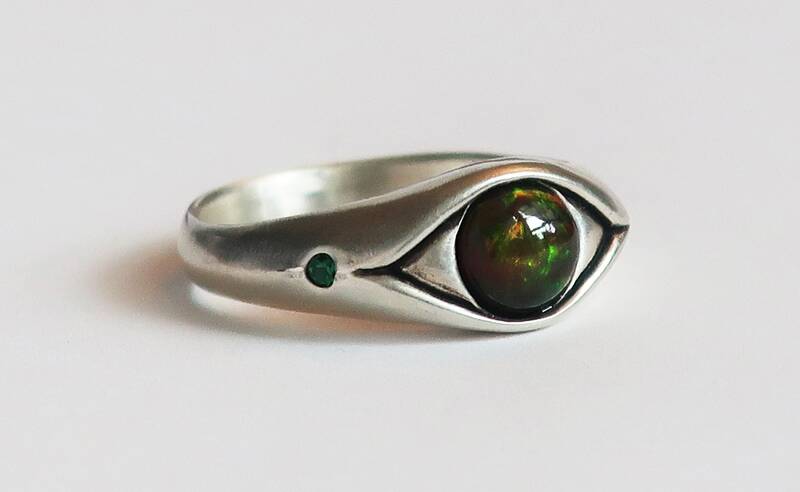 Opal is the union of fire and water. 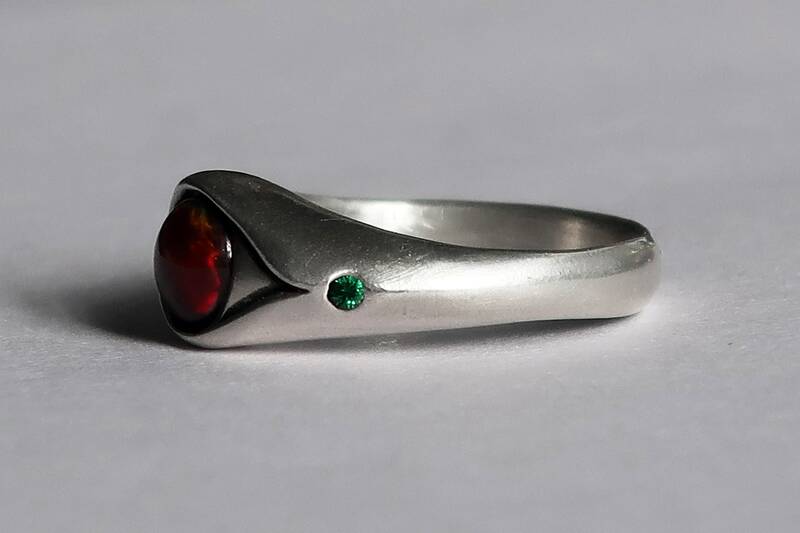 It is the birthstone for October and is thought to promote "happy dreams and changes" while helping the wearer to access their Higher Self. Said to be a stone of communion, revelation, and vision some believe it may help to promote love and understanding. 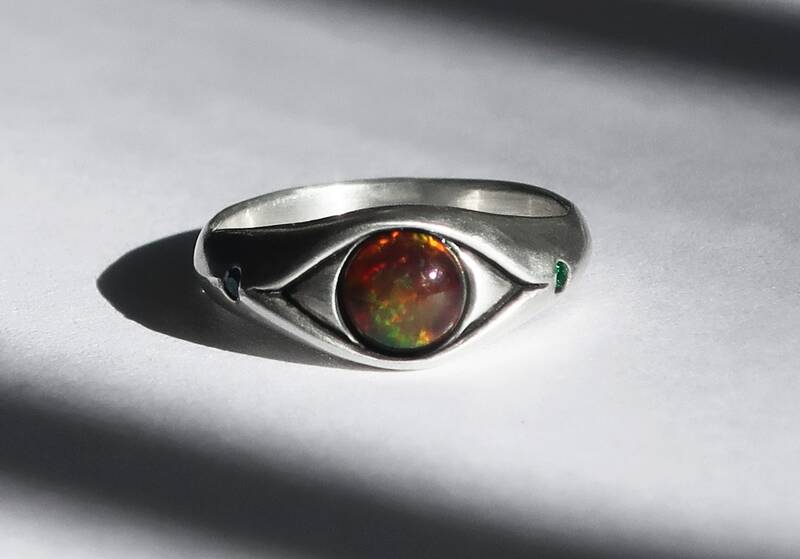 Opal is also believed to bestow upon its wearer charm & charisma, enhancing personal power and self-esteem while dispelling shyness. Opal is a fragile stone and can chip and break if handled roughly or dropped. 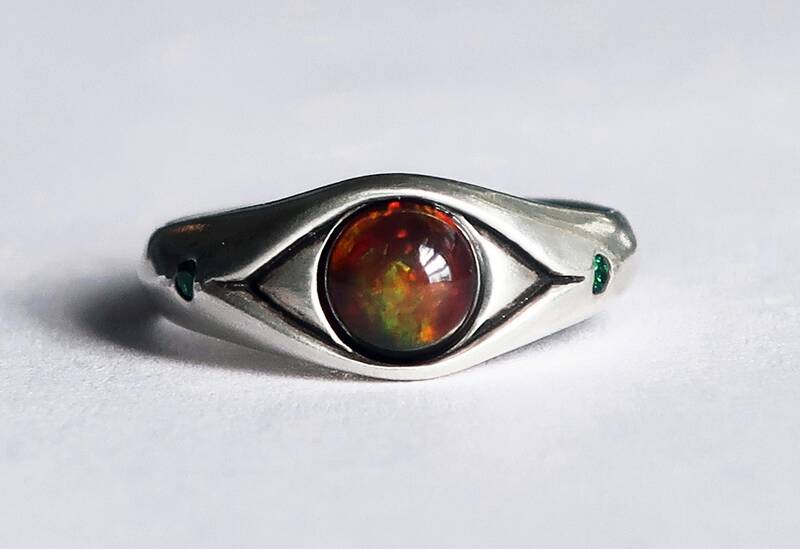 Opal jewelry should be cleaned only with mild soap in warm water and can be rubbed gently with a soft toothbrush or cloth. Bleach, chemicals, and cleaners should be avoided.